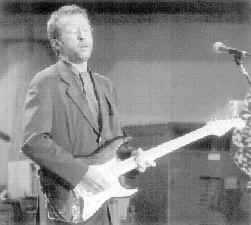 Mr. Clapton performs in 1992. He has been acclaimed as one of rock's greatest guitarists. 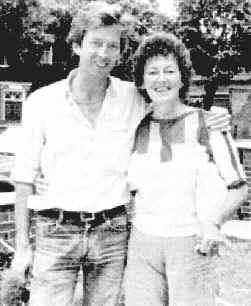 Eric Clapton with his mother, Pat. As a small child, he was told Pat was his sister. 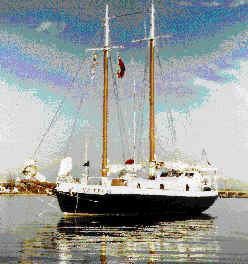 Scenes From the Life of a Drifter: Jupiter IV, the 30-foot sailboat on which Mr. Fryer lived and journeyed between Port Darlington and Florida each year. Scenes From the Life of a Drifter: Edward Fryer with his last love, common-law wife Sylvia 'Goldie' Nickason and pet dog. 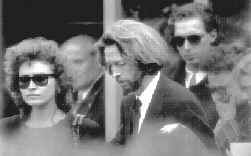 Lori del Santo and Mr. Clapton at their son Conor's funeral. Scenes From the Life of a Drifter: An example of Mr. Fryer's artistry, a restaurant sign he painted for a friend. 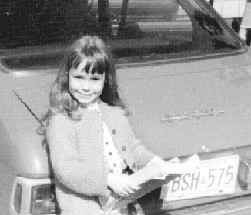 Eva Jane Fryer at age six. Like his father, Mr. Clapton has been known to change women often. His brief affair with model Lori del Santo resulted in the birth of Mr. Clapton's son, Conor. After Conor died from a 53-storey fall in 1991, Mr. Clapton was inspired to write Tears in Heaven. 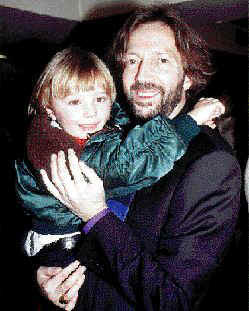 In his new hit song, My Father's Eyes, Eric Clapton wrote that he could only see his father through his son's eyes. Conor died in 1991 after a tragic fall from a New York City highrise. Lynn Ball, The Ottawa Citizen / Eva Jane Fryer reading a biography of her newfound sibling. The trailer that is Ms. Fryer's current home. 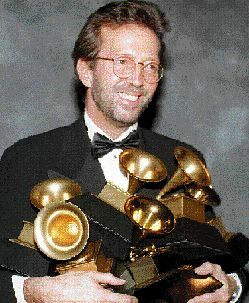 Father and Son at the Top of Their Careers: Eric Clapton collected an armful of Grammys in 1993. Father and Son at the Top of Their Careers: Clapton's father, Edward Fryer at the top of his form as a drifter, in Aruba, 1959. 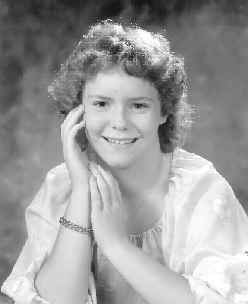 Eva Jane Fryer at age 13. In his new hit song My Father's Eyes, British rock superstar Eric Clapton sings soulfully about the father he never knew: "How did I get here? When will all my hopes arrive?" He answers four times in a poignant refrain: "When I look in my father's eyes." The only son of a brief encounter between 16-year-old Patricia Clapton and a 24-year-old Canadian soldier stationed in England during Second World War, Eric Clapton was raised by his grandparents in Ripley, a village outside London . "I never met my father," Mr. Clapton told his biographer in 1985. "And I realized that the closest I ever came to looking into my father's eyes was when I looked into my son's eyes." Mr. Clapton's five-year-old son, Conor, plummeted to his death in 1991 from the 53rd floor of the New York City apartment of his mother, Italian model Lori del Santo. Missing the father he never knew, Conor's death pushed Mr. Clapton into depression. From it emerged Tears in Heaven, Mr. Clapton's most successful song. "Would you know my name if I saw you in heaven?" he asked in the tender ballad to his dead son. "Would it be the same if I saw you in heaven?" It is this tragic sense of loss -- of his father and of his son -- that has shaped Mr. Clapton's music more than anything else, and that found new expression with the release this month of My Father's Eyes. Today, Eric Clapton can, for the first time, look into his father's eyes. In these photographs he can see the father he never knew, and meet the sister he never knew he had. When I began my quest for the Canadian father of the famous rock guitarist, only the man's name was known. Mr. Clapton grew up knowing that his father's name was Edward Fryer, that he was a Canadian soldier who played piano in pubs while stationed in England, that he had a flair for painting, and that Mr. Fryer had met his mother in 1944. Based on Canadian Armed Forces service records and on interviews with members of Mr. Fryer's family, I learned that Mr. Clapton's father was born Edward Walter Fryer on March 21, 1920, in Montreal. He would fall in love and marry many times. He died on May 15, 1985, at the age of 65, in a North York, Ont., veterans hospital. 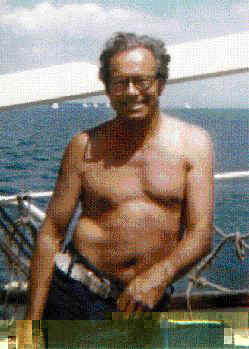 Except for his prized possession, a 30-foot sailboat named Jupiter IV, he died penniless. Mr. Fryer was unaware that he was the father of one of the greatest guitarists in rock history. Or, if he was aware, he never mentioned it. Edward Fryer was a born drifter. He left home at 14, learned how to play piano, and made a living singing in bars and nightclubs in Montreal. He enlisted in the army on July 17, 1940, and soon found himself with the Canadian contingent stationed in England. The army, however, did not take away his passion for singing and piano playing. While he was stationed overseas, Mr. Fryer made extra money singing and playing in pubs. He met Patricia Molly Clapton in 1944, at a pub in Surrey, just outside London. On March 30, 1945, Patricia Clapton gave birth to Eric. By that time Mr. Fryer was long gone, and the young boy with a destiny would grow up knowing nothing more about his father. Until he was nine years old, the young Clapton was led to believe that the grandparents who raised him were, in fact, his parents. He was also told that his mother was his older sister. When he discovered the truth about his parents, the young boy became withdrawn and turned to the guitar as an outlet for his confused emotions. At an early age, Mr. Clapton developed an affinity for the bittersweet sounds of the Mississippi Delta blues. By the time he joined his third rock group, John Mayall's Bluesbreakers, in 1965, Mr. Clapton had already achieved legendary status as a guitar player. 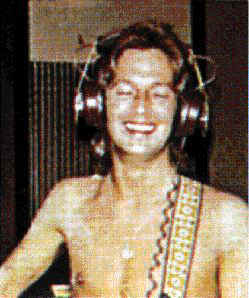 When he was barely 20 years old, fans scrawled the words "Clapton is God" on subway stations in London. Since then, Mr. Clapton has released more than two dozen best-selling recordings, either as a solo artist or as the featured guitarist with a band. He has won Grammys for his hit songs and is often voted The Greatest Guitarist in the World by rock fans. Mr. Clapton also achieved notoriety as a drug user and alcoholic, which resulted in creative downswings that left him unable to write or play the music that was so dear to him. Apparently, these traits mirrored those of his father, who enjoyed himself too well on his military posting overseas. When the Canadian regiments were ordered home at the war's end in 1945, Mr. Fryer failed to turn up for the boat ride home and was listed as AWOL. For this act of disobedience, he was given a dishonourable discharge on Sept. 4, 1946. Because of the transient nature of his existence, it is difficult to say precisely what he did or how many times Mr. Fryer married between 1946 and 1965. One of his wives, Yvonne Colson, told me her ex-husband was married several times before he married her. "He admitted to me having a bunch of past wives," says Ms. Colson, who was married to Mr. Fryer from 1965 to 1971, and has since settled in Winter Haven, Florida. Ms. Colson, an American citizen with two children from a previous marriage, met Mr. Fryer at one of his barroom shows in Florida in 1965. "I was working in Sarasota in an insurance office," she recalls. "I went out with a girlfriend of mine and had a drink, and we noticed this cute guy playing the piano. We started talking, and he asked if we had any requests. I looked at him and said, how about Let's Fall in Love? And from there, it got serious. "Then the U.S. immigration authorities found out he was in the country, and that he didn't have a work permit. So he was deported. They flew him out to Toronto, so I packed up the kids in the car and drove to Detroit. I crossed the border into Canada, and stayed 11 years." The only daughter of Ms. Colson and Mr. Fryer, Eva Jane Fryer, lives 30 kilometres away in Lakeland, Florida. Because she is Edward Fryer's daughter, Eva Jane is also Eric Clapton's half-sister. In a trailer park near the Crossroads Baptist Church on the outskirts of the small central Florida city, Eva Jane lives a hard life. A single mother of a nine-year-old girl, Eva Jane spends her days at an office job in nearby Winterhaven and her evenings unwinding in a four-room trailer-house that is anything but luxurious. Like many of those around her, Eva Jane has spent her entire life feeling as if she was missing something. In Eva Jane's case, that something turned out to be a half-brother she never knew she had. "I love his music. I always loved his music. 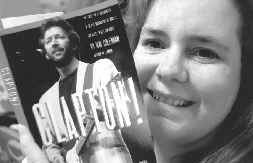 I just love Eric Clapton," said Eva Jane, 30, when I told her about her new-found blood relative. "To think that I'm related to him -- that's a shocker, it really is. It's just mind blowing. I don't know how to react." But after studying photographs and documents that connect her father with the famous guitarist, Eva Jane says she wants to meet Clapton. "I would really like to meet him. I would like to meet my brother," she said. "I want to get to know him. He would be more than welcome to come and talk to my mom and me, and we could tell him what his father was like. "I just want him to know that I am not after his fame. I just want to know him. Because if he is my brother, he is part of me. And I'm part of him. I would just like to know him and maybe be a part of his life." Eva Jane told me that if Clapton has any doubts about his relation to her, she would be willing to submit to a DNA test to determine her blood ties with the singer. "I would love to have someone famous related to me," she says. "I could go around and say, hey, Eric Clapton's my brother. I would never ask for anything except maybe for tickets to his concert." Edward Fryer had at least two other children, Edward Jr. and Sandra Fryer, from previous marriages. It is believed that these two siblings of Clapton live somewhere in Canada. Although I left messages with Clapton's New York City publicist requesting comment, my phone calls were not returned. Clapton begins touring the U.S. next week to promote his new CD, Pilgrim, which contains the hit single, My Father's Eyes. On April 25, he is scheduled to play a concert in Tampa, a short, 20-minute drive from Eva Jane's home. No Canadian dates have yet been scheduled. Unlike other family members who are too old to know Eric Clapton's music, Eva Jane is a big fan of the guitar player's songs. "I love Layla, even the version he did on that Unplugged album," she said, referring to Mr. Clapton's signature guitar song. "This is a storybook story," she says. "As far as being related to Eric Clapton is concerned, I didn't know anything about his history to know he had a father the same name as mine. I never would have begun to imagine." Eva Jane was born in 1968 in Sault Ste. Marie, Ont., where her mother and father ran a teen dance club. At the same time, Fryer continued to play in piano bars for money, particularly at Holiday Inn hotels. "He sounded a lot like Nat King Cole," remembers Yvonne Colson. "He played a lot of middle-of-the-road stuff like My Way. He backed singers, dancers, and strippers all around Ontario." Clapton's dad played the old Shadow Hotel in Coburg, and various hotels near the airport in Toronto, and Holiday Inns in Kingston and Ottawa. Like her father and famous older brother, Eva Jane also has an ear for music. 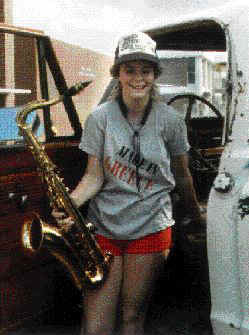 She played saxophone in her high school band in Florida, but stopped playing the instrument when she was forced to sell it for cash. "Daddy had an ear for music," says Eva Jane. "He could sit down and listen to a song and then play it. I remember after he and mom split up, I remember being in a hotel room and I could go in the bathroom and hear my dad singing and playing in the lounge below. It was amazing. My favourite song he sang was Raindrops Keep Falling on My Head. Even to this day I can hear this song and remember being a little girl and having nice memories of him. There weren't very many, but the ones I do have are nice." Fryer also had a talent for drawing and sign-painting, which along with the singing helped pay the bills and also allowed him to drift from one town to the next. 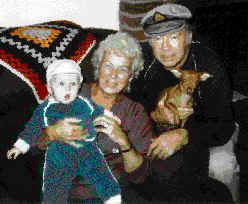 While he was married to Yvonne Colson, the small family lived in Brantford , Sault Ste. Marie, Peterborough and Toronto. "He never planned for anything," Ms. Colson recalls. "He was a very selfish man. He strictly wanted what he wanted and didn't care who he walked on to get it. I think he was a very lonely man. "He could con the horns off a billie goat. In 1969, we were living in Florida, working hotels, and he met my boss's daughter in law. He talked her into leaving her three babies and they took off. He was up in Ottawa, playing the Holiday Inn. So I flew up there and got her back with her husband and her kids, but she left again and went with him. "That's when I said that's it, no more. But I never got any child support. The judge would let him go every time. In 74 or 75 he phoned me and talked me into meeting him. We met outside of Toronto. He told me he tried to kill himself driving himself into the gorge at Niagara Falls. I didn't believe him. So I phoned the police and they sent me a copy of the newspaper. He rented a Duster and gunned the engine. But a bank of trees stopped him from going into the gorge. He spent a couple of days in the hospital." Although she has never heard of Eric Clapton, Colson says she would like to talk with Clapton's mother. She believes that the talk might help both of them resolve their feelings towards Fryer. "I would like very much like to talk to Eric's mother," she says. "I think maybe it would be closure for her as well. She can't be very much older than me. I would like to talk to her, I really would. I would even spring for the long distance calls." Fryer and Colson parted ways in 1971. By then he had purchased a sailboat, the Jupiter IV, on which Fryer lived. He docked it in Port Darlington, on the shores of Lake Ontario, in summer, and then sailed down the east coast of the U.S. to the St. Johns River in Florida in winter. At this time he also met the final love of his life, Sylvia "Goldie" Nickason. The two would spend many happy days together together onboard Jupiter IV . "I remember my first time on the boat," recalls Ms. Nickason, who is now 79 years old and divides her time between Palatka, Florida, and Dorset, Ont. "All we had to eat was a loaf of bread and a jar of peanut butter. But we had a nice sunset to watch that night and Ted took me in his arms and said, 'I wonder what the poor people are doing right now.'" Fryer's happy-go-lucky ways endeared him to many people, she says. He continued to earn money singing at piano bars and the occasional bit of sign-painting. He died on May 15, 1985, "of leukemia," says Nickason. "We had Ted cremated, and I danced with his ashes on the boat. Then we scattered his ashes in the water." She still cries at the memory. "You tell this Eric Clapton that his father was a good man," says Nickason, who has never heard of the bluesman. "You tell him that." Eva Jane Fryer, half-sister of Eric Clapton, barely knew her father. Edward Fryer walked out of her life when she was three. 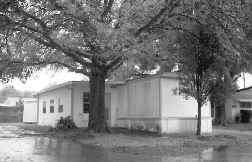 When Ms. Fryer's mother, Yvonne Colson, referred to Mr. Fryer as "selfish," Eva Jane defended her dad. "He just lived for the moment," she said. "He wasn't really aware that he was hurting anyone." Still, the marks Mr. Fryer's absence left on his daughter are evident. Ms. Fryer is raising a daughter alone.